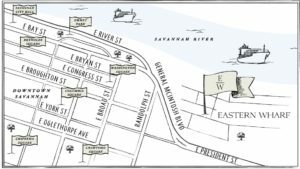 Eastern Wharf is the highly anticipated mixed use development adjacent to Historic Savannah along the Savannah River. It will deliver in 2020. It is located at General McIntosh Boulevard and E. President’s Street. The project sits on 54+/- acres and will include specialty retail, modern office space, a luxury hotel, upscale apartments and river front residences. It will be the premier destination for unique dining and community gatherings. 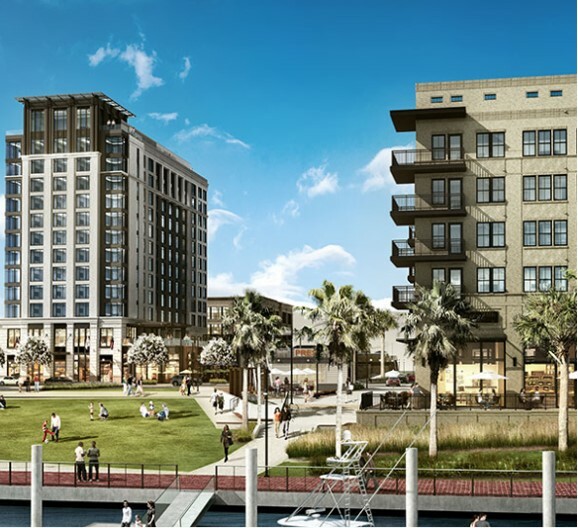 The walk-able and boat-able community includes a 3 acre City of Savannah Riverfront Park with Outdoor Event and Community Space. Patrons may dine and shop, while docking their boat at the project’s exclusive dock. There is green space and beautiful river views throughout the project. The vibrant architecture compliments surrounding historical buildings. Parking decks with regularly scheduled trolleys will make the project appealing to the island residents and commuters. 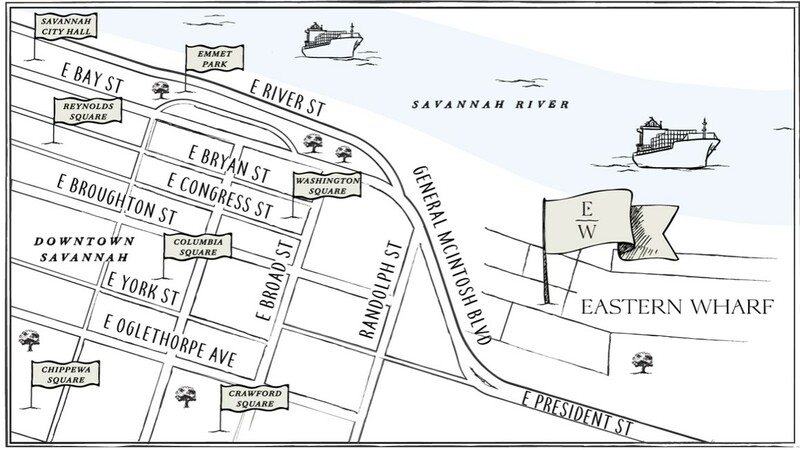 The project is adjacent to Truman Parkway, which conveniently connects all of Savannah to the project.